We highly recommend the Kessil A360X, AP700, A80, A160WE, A360WE & A360NE LED Aquarium Lights. The A160WE, A360WE & A360NE can be used with the Kessil Spectral Controller. The Kessil aquarium lights are the premium compact, clamp-mounted LED reef aquarium lights on the market. The Kessil A360X Tuna Blue LED Light is the latest offering from Kessil. 1. LOWER PROFILE, BUT BRIGHTER. It features a low profile design with higher light output, thanks to the redesigned, first-class sunflower heat sink. 25% brighter than the A360WE or A360NE. This light has a 30" X 30" coverage area. NOTE: Many aquarium setups will require you to use more than one Kessil A360WE, and you may also want to get a Spectral Controller, and a Gooseneck or Mounting Arm for each light. Please visit the Kessil Lighting Packages section for some Kessil Package ideas. The Kessil A360WE Tuna Blue LED Aquarium Light is designed for reef aquariums. The Wide Angle focus is the best choice for tanks up to 24" deep. It works seamlessly with the Kessil Spectral Controller to control the intensity and color mix of the light throughout the day and night. It can be easily hung above the tank with the two built in mounting tabs (that can be attached to a hanging mechanism), or can be clamped to the tank with the Kessil LED Light Pendant Gooseneck Clamp/Mount. The Kessil A360NE Narrow Angle Tuna Blue LED Aquarium Light is designed for reef aquariums. The Narrow Angle focus is the best choice for tanks over 24" deep. It works seamlessly with the Kessil Spectral Controller to control the intensity and color mix of the light throughout the day and night. It can be easily hung above the tank with the two built in mounting tabs (that can be attached to a hanging mechanism), or can be clamped to the tank with the Kessil LED Light Pendant Gooseneck Clamp/Mount. NOTE: Many aquarium setups will require you to use more than one Kessil A160WE, and you may also want to get a Spectral Controller, and a Gooseneck or Mounting Arm for each light. Please visit the Kessil Lighting Packages section for some Kessil Package ideas. The Kessil A160WE Tuna Blue LED Aquarium Light comes with two control knobs. One knob is used to control overall intensity and the other knob the blue/white LED spectrum mix. You can tune a preferred color within the spectral range thousands of research and testing hours determined to be the optimal spectral points. In addition, you can control the A160WE with the Kessil Spectral Controller (a separate purchase). This version is designed for use with reef aquariums. For freshwater planted tanks you can use the Kessil A160WE Tuna Sun LED Light Fixture. The Kessil AP700 leverages the technology of Kessil's award-winning pendant lights and expands it into a larger, 185-watt panel platform. With two 60-LED chip arrays, the AP700 delivers up to 4 feet of coverage. This powerhouse is also equipped with built-in Wi-Fi for even greater control and customization. The Kessil AP700 features a flawless touch control panel to easily adjust intensity, color and cycle through preset program modes. The intuitive system allows instant customization of an aquarium with just a simple touch. The built-in WiFi capability takes control even further, with the power to remotely program the AP700 through the Kessil AP700 app. Using the Kessil app, custom lighting schedules will take full advantage of the AP700's features, whether it is a dawn/dusk effect or moonlight mode. 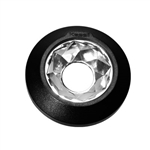 Can be used with the Kessil AP700 Mounting Arms, Kessil AP700 LED Aquarium Light Hanging Kit and the Canopy Kit. The Kessil Tuna Blue A80 LED Light is half the intensity of the A160, but comes with all the same features and color and control knobs. It's compatible with the Kessil Spectral Controller. This A80 (the Tuna Blue) version is for reef tanks. Coverage is 14" to 24" depending on the scenario. For small nano reefs with a medium light demand the coverage is 14" (with the bottom of the light 4" above the water). Entry level reefs with low light demand will have a 20-24" coverage (6" above water). For large fish only tanks with low light demand coverage is up to 24" (6"-8" above water). The Kessil Apex Controller Cable connects the Kessil A360 LED Lights to the Neptune Apex Controller, and to Apex Jr. & Apex Lite Controllers with the VDM Module. 6 feet long. 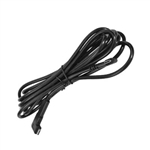 This Cord can either be used as a replacement power supply cord (power supply to unit) or as and extension cord to double the distance between the power supply and the Kessil Light. Like the cord that comes with the Kessil, this cord is 6 feet long. This will work with all A350 Kessil LED Lights. The Kessil AP700 LED Aquarium Light Hanging Kit is easy to assemble. See the User Manual for assembly info. Each cable is eight feet long. Kessil AP700 LED Aquarium Light Canopy Kit. 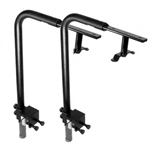 The Kessil Mounting Arm can be used to mount the Kessil AP700, Kessil A350/A360 and Kessil A150/A160. For the Kessil AP700 you will need TWO Mounting Arms. For Kessil A350/A360 and Kessil A150/A160 you will only need ONE. NOTE: To use with the A150/A160 you will need to use the bracket that came with the light. The Kessil Slide Bar-2 Extended Slide Bar for Mounting Arm is an extended length bar to be used with the Kessil AP700 Mounting Arm.This Slide Bar is 3.5" longer than the bar that comes stock with the Kessil AP700 Mounting Arm. The Slide Bar is necessary for tanks that are 25" to 32" front to back (if the light is centered in the tank). Only one Slide Bar is included. The Kessil AP700 Extension Mount is designed to be used with the Kessil AP700 Mounting Arm and provides customers with an additional mounting option. It is designed specifically for acrylic or euro-braced tanks, by affixing the mounting arms to the tank stand. This package includes two Mounting Arms. The Kessil AP700 Mounting Arm can be used to mount the Kessil AP700, Kessil A350/A360 and Kessil A150/A160. For the Kessil AP700 you will need TWO Mounting Arms. For Kessil A350/A360 and Kessil A150/A160 you will only need ONE. NOTE: To use with the A150/A160 you will need to use the bracket that came with the light.